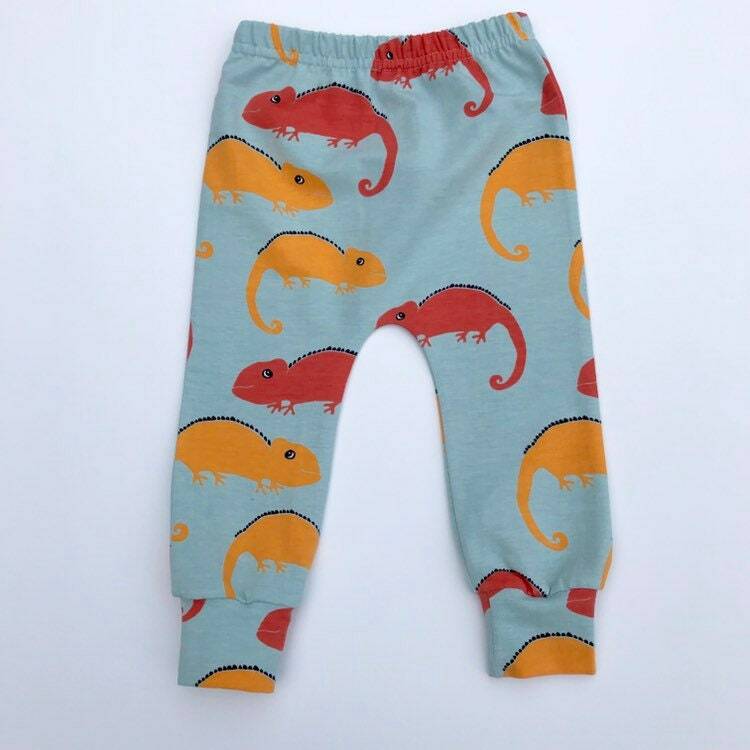 Eddie & Bee organic cotton leggings in pale blue Karma Chameleons print. 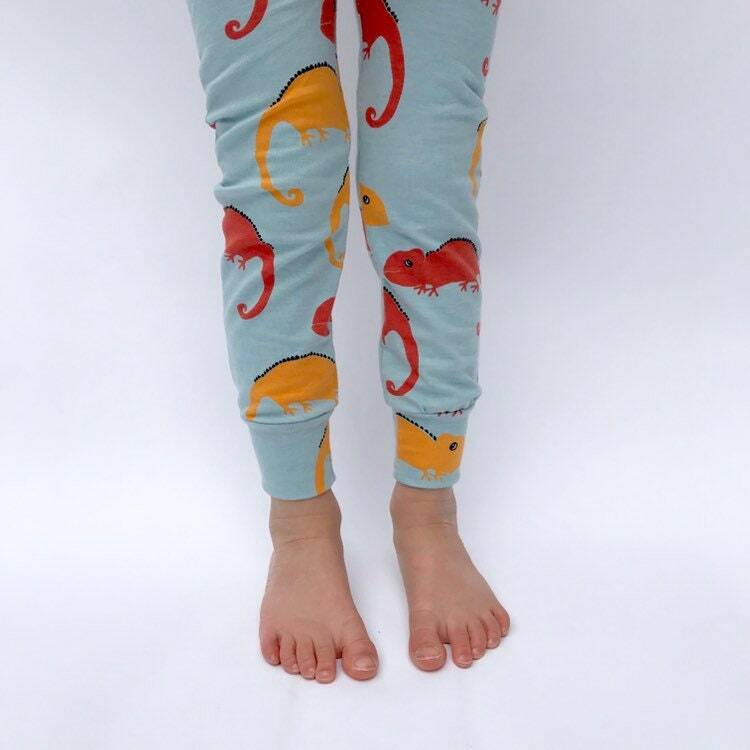 Eddie & Bee organic cotton leggings in pale blue "Karma Chameleons " print. 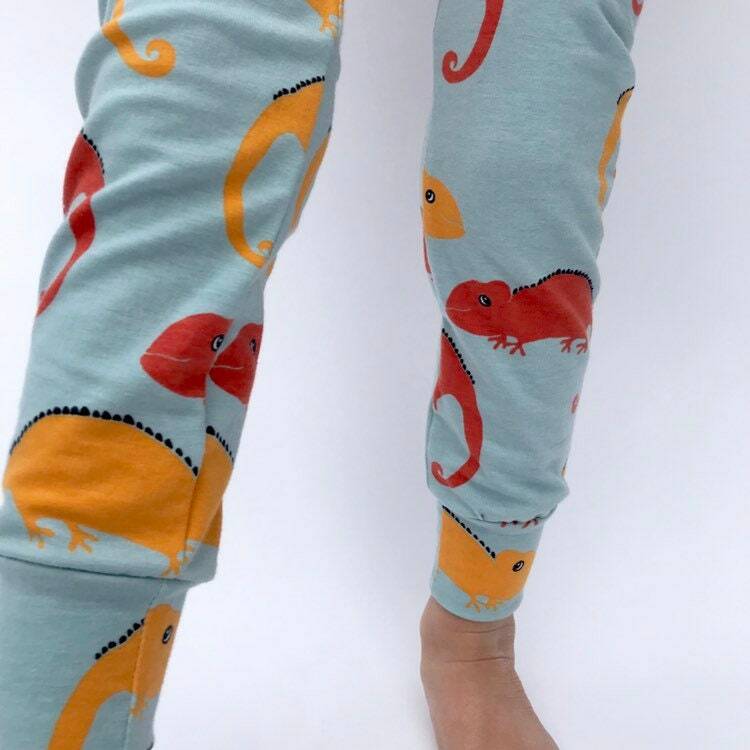 Super soft organic cotton leggings in pale blue “Karma Chameleons" print. 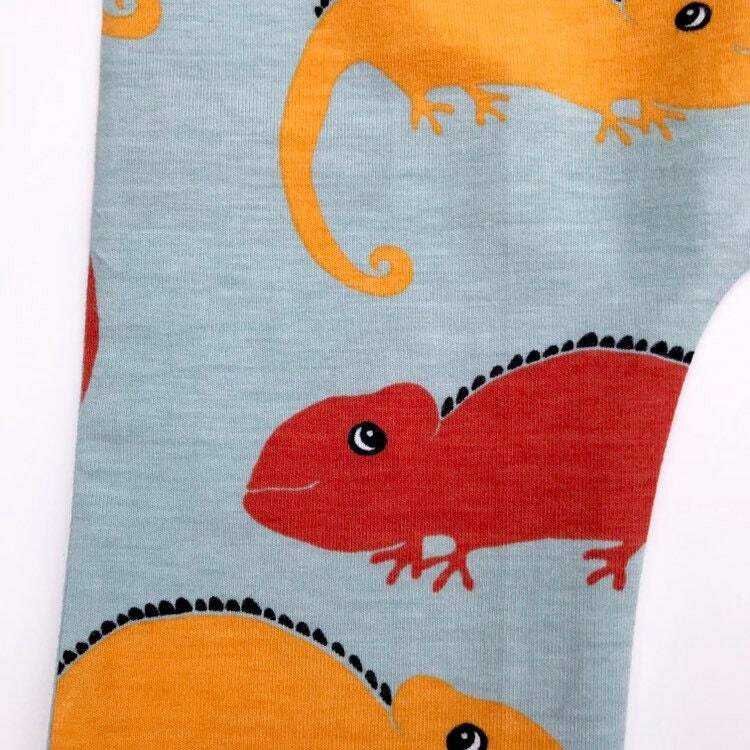 These leggings are made from 100% organic cotton. 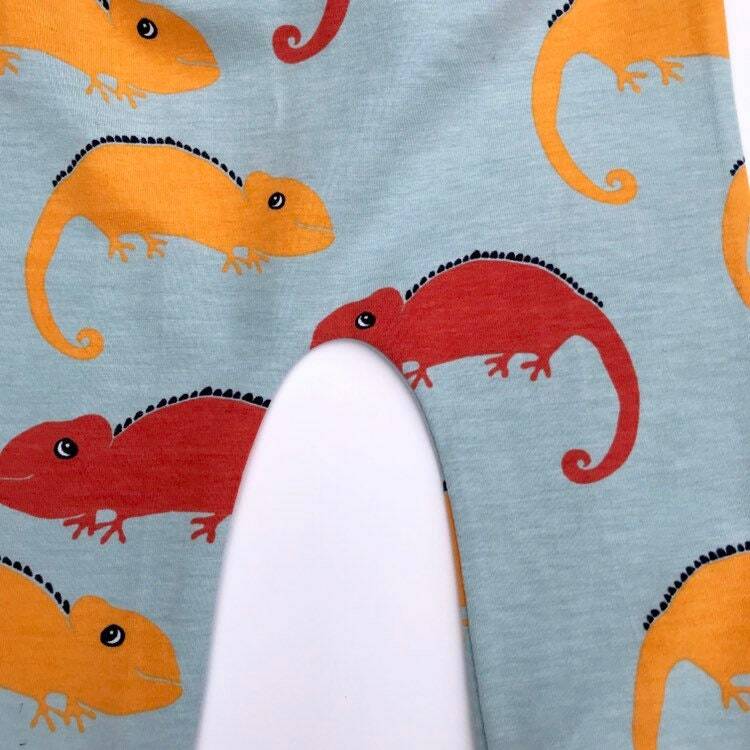 The waist band has soft elastic to make it comfy for little tums! 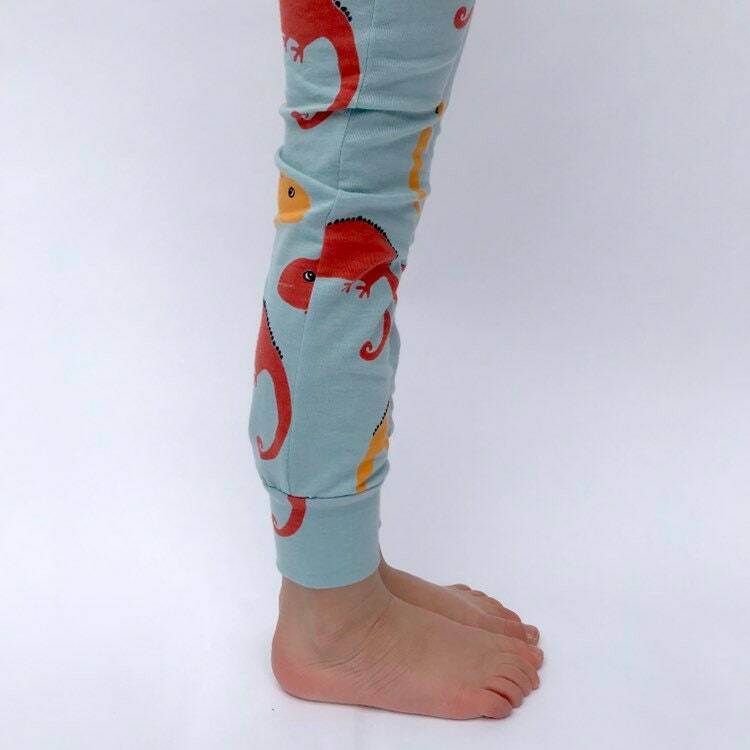 The cuffed ankle bands make the leggings extra comfy and stop the leggings slipping over little feet. 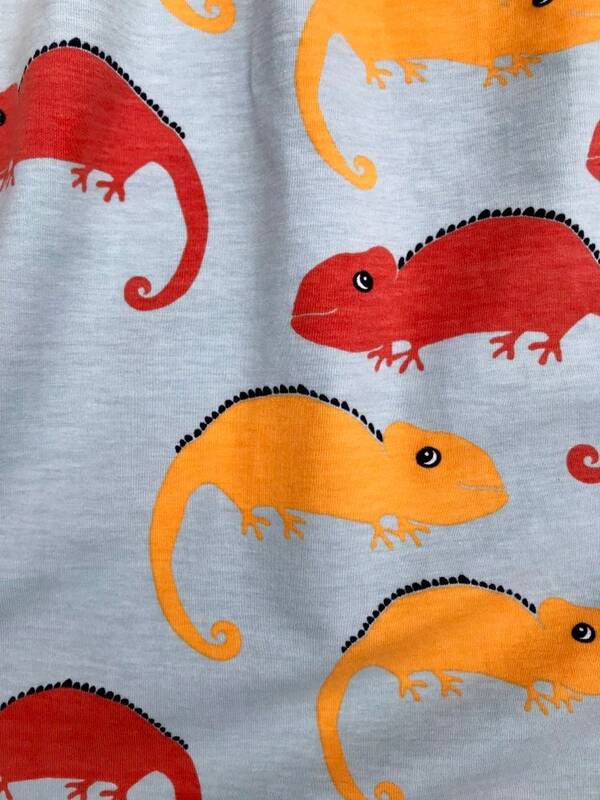 The fabric is produced from 100% organic cotton and printed with low impact dye. 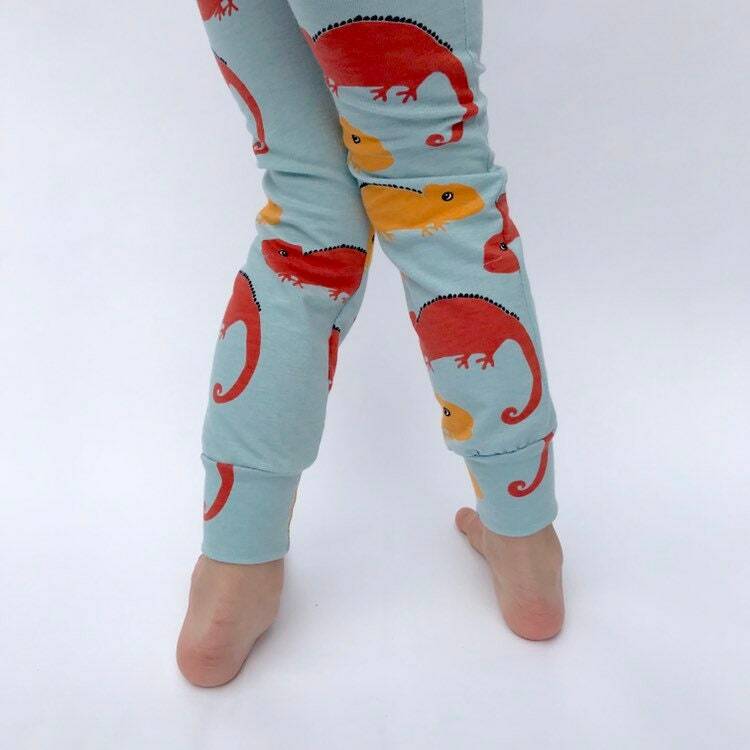 To keep your leggings looking new, please wash them inside out. 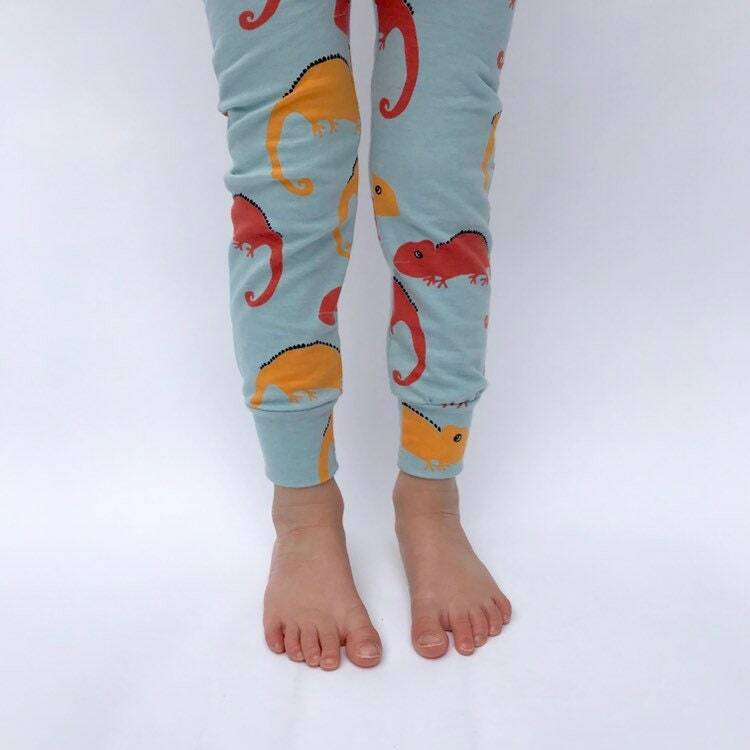 Prices from £13- £22 depending on size.